Back in December, if you remember from A Foot's Perspective - Episode 18: Fabrica's Silk Weave, I got to meet and present with Robbie Schuette who talked to me about several other Fabrica carpet styles that I consider inspiring beyond description. More specifically, styles like Shandur, Nibbana, Abrash and Antigua - all made with Wear-Dated carpet fiber. 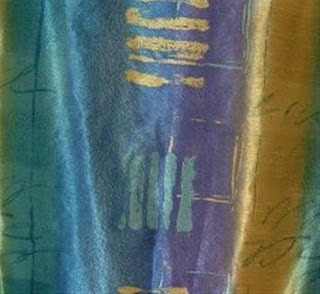 The photo above shows you three samples of Antigua set on top of two Silk Weave samples. Named after a beautiful island in the Caribbean, Antigua - a plush casual texture or frieze carpet style - has a casually elegant, highly textured "windswept" look. The "hand" of this carpet style is soft and buttery. According to Robbie, this comes from both the construction and that the carpet style is made with Wear-Dated DuraSoft carpet fiber. Fabrica considers Antigua a "best-in-class" product that offers both beauty, performance, superior texture and warmth for today's interiors and an exceptional color palette. It feels delicious under hand, and even better underfoot, I'm sure! Abrash, Shandur and Nibbana are a collection of products offering a clean, fresh, contemporary approach to floor coverings. Inspired by the rugged Himalayan mountains, these products all feature a beautiful and subtle striation which adds to their handcrafted appearance. Shandur and Nibbana share a common color line of seventeen colors [see photo above on left]. I find them sophisticated, exotic and comfortable. Shandur, pictured here on the left and below, is a loop style construction. Nibbana, the carpet style below Shandur, is considered a loop pattern in that the look is created from a combination of loop and texture construction. Robbie also referred to it as "tip sheared." She explained to me that the tip shearing randomly shears or cuts the tips of the carpet yarns. This adds another dimension to the carpet style by providing cut pile and softness of hand with pile flow and silkiness. The precision shearing gives contrasting textures of cut pile and loop pile mixed with pattern. Nibbana was introduced right after Shandur was launched. Both products have a striated effect with subtle shading of the colorations. These are deliciously inspiring carpet styles! The third carpet style in this family is Abrash. It shares the Nibbana/Shandur color line, but with an additional selection of colors - offering you 25 colors to choose from. Abrash represents a plush texture carpet style: it's a thick, dense cut cut pile textured construction. It feels luxurious and opulent to the touch. What amazes me when I experience these Fabrica carpet styles is not only how wonderful they feel to the touch, but also how visually unusual and exciting they are. Antigua's soft buttery casual texture/frieze look and Shandur's, Nibbana's and Abrash's striated effect with subtle shading of colors really makes for inspiring carpet styles - that, as Robbie reminds me, given the common palette+, you have the option to use the same color in a variety of textures in your home - sure to create a beautifully fashionable, sophisticated and delicious statement! Will you let me know what you think when you encounter them? A Foot's Perspective #21 - Wow Dallas Carpet! This episode of A Foot's Perspective is about another Wow! 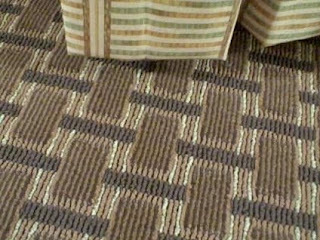 carpet style that I came across at the Comfort Inn by the Dallas/Fort Worth airport. I was more than pleasantly surprised! This photo captures the wall facing you as you enter through the hotel's front doors: whimsical, eye-catching and very comfortable. My first thought was that I wouldn't mind sitting and spending time in this lobby. What made the space so engaging, welcoming and warm was... you guessed it: the carpet! It's a bold, circular abstract pattern that combines a loop construction with a texture [i.e., "cut/loop or cut & loop] in two different shades: a warm buttery ochre-yellow with a cool grey. The same pattern is repeated in the breakfast area in another color combination: the same grey with a darker grey. I love how the pattern was matched so perfectly at the seams, too! In the breakfast area, the darker carpet creates a different look and feel. Still sophisticated, but more private, more conducive to breakfast and lots of people sitting at small tables and conversing. Note the pattern of the upholstered seating: the plaid pattern and colors do a lovely job of reflecting the breakfast area look and feel while also relating to the warm lobby tones. I commented on the smart look of the lobby to the hotel manager, assuming that it had just been upgraded and remodeled. Guess what he said? They upgraded in 2005, and put a lot of effort in maintaining the space. See for yourselves in this episode of A Foot's Perspective. For the most recent episode, visit A Foot's Perspective - Episode 20: Another Wow! Carpet Style. Or you can scroll through previous blogposts with links to all previous episodes of A Foot's Perspective. Greer's Carpet Fashion Underfoot pairs stylish shoes with the latest carpet styles. In this episode, Greer pairs a Skechers slip on shoe called Biker's Cage with a new carpet style named Urban Links. Everyone needs a good pair of what I like to call kick-around shoes in their shoe wardrobe. 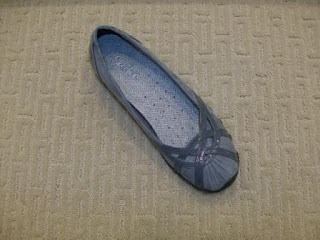 These are shoes you slip on as you head out the door to go to the grocery store, yoga class, run errands or whatever. It’s desirable to have something that doesn’t resemble a bedroom slipper or a left over pair of gym shoes. I recently bought a great pair of kick-around shoes. I purchased a pair of Skechers in a style called Biker’s-Cage in a cool steel grey color. Sketcher’s brand designs shoes that according to their website “appeal to the trend-savvy consumer.” Not only are these functional as in comfortable and easy to slip on, but they are quite stylish as well. Urban Links is patterned to look like a continuous link of chain. It comes in a 16-color palette. The colors, like the pattern, are very contemporary chic. They are rich and saturated. There is even a hip steel-grey to match my shoes. Like a good pair of kick-around shoes, Urban Links is stylish, yet functional. Another way consumers want carpet to function is by being stain resistant. Because all Mohawk carpets made with Wear-Dated carpet fiber are treated with Scotchgard Protector & Advanced Repel Technology, Urban Links has repellency to liquids, enhanced soil protection, and is easier to clean. Scotchgard Advanced Repel Technology surrounds each fiber providing a shield against dirt. Dirt doesn’t adhere to the fiber and vacuums up easier. Finally, because Urban Links is made with Wear-Dated DuraSoft fiber, it is comfortable like my new shoes, too. DuraSoft is the finer denier Wear-Dated carpet fiber that offers the ultimate softness without sacrificing durability. So if you’re looking for a carpet for a downtown high-rise condo, or something to make a statement in a den or living room, Urban Links might be the carpet for you. It’s perfect for anyone who wants style without compromising function. Until next time, look for beauty and carpet fashion underfoot! Can you imagine a presidency and country more poised for change? Not only do I anticipate change in fashion, home trends and carpet styles because of the First Family's Sense of Style, but I also expect a more creative use of carpet for traditional red carpet events. First, were you aware that President Obama is the first president ever to take the Oath of Office from a recycled, solid-blue carpet? [Although he retook it shortly thereafter] And that he stepped on a recycled carpet runner [blue bordered in red] to go from the bottom of the U.S. Capitol’s Rotunda steps to the West Front podium? This according to TheHill.com and Green carpet won't quite cover Inaugural footprint. Then, there are the fancy parties and Inaugural Balls. Ball Tickets originally uploaded by brdweb. Although I didn't make it to a single one in Washington, D.C. [preferring a quiet Northern New Jersey family celebration], I do feel as if I have lived some of the events. Is it the same for you? Not only has the news coverage of these ultimate Red Carpet events been impressive, but I love what has been captured via social media tools live facebook, flickr [from where the photos here come] and huffingtonpost.com. The New York Times has a wonderful article titled The President, the People, the Parties which includes several slide shows of the events. The article itself is fascinating as it gives you a sense of the breathless excitement and joy of Tuesday's events. 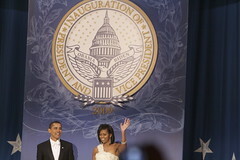 "The planners of some of the big-ticket parties presented their events as accessible as well, like the Inaugural Purple Ball, which celebrated “bipartisanship, unity and diversity” in the words of organizers. Thus a traditional red carpet representing exclusivity was deemed boring and out of date. Instead the ball had a purple carpet. Other, so-called “green” balls had their own, yes, green carpets." I definitely sense a reinvention for red carpet. What say you? From the 1/28/09 issue of Interior Design, Obama Sworn in on Bentley Prince Street Carpet. Congratulations Bentley Prince Street, a valued Ultron carpet fiber customer! In Carpet & The Obama Presidency - Part I, I referred specifically to the HFN Magazine 1/5/09 article titled "The First Family of Style" by Barbara Thau that inspired and intrigued me so much. I decided to specifically ask two design experts - with intimate carpet design experience - for their perspectives on carpet, design style trends and the Obama Presidency. One you know: Woman of Wear-Dated Ann Hurley, the other is my friend and honorary Woman of Wear-Dated Lisa Contreras. Lisa A. Contreras is senior associate and resource director of Mancini Duffy Architecture Design's retail group. Based in NYC, her role is unique in that she bridges two design worlds: retail and manufacturing, often working directly with carpet mills to create the flooring solution and style that is right for the retail vision. Lisa has also contributed multiple retail perspectives over at Flooring The Consumer [including Lisa Contreras, Mancini Duffy & Retail Design Inspiration], earning her an honorary Woman of Wear-Dated title. I think carpet styles have become like many consumers…the “more” going on, the better. Most commercial carpets we see have so many twists and swirls and layers of pattern that the overall carpet looks like “mud.” The colors lack a sense of clarity. Patterns that are considered “organic,” really just have too many swirls and layers to them. Many manufacturers are so busy trying to make a carpet that fulfills everyone’s need that style is compromised. These tough economic times should also remind us of what is important in our lives. People are looking for stability and simplicity, less trendy, more practical materials, and longevity. “Green” and “sustainable” should be the foundation of each manufacturer. The idea of “green” is very democratic. The emphasis should be on recycling and sustainable products. We are on the “eve” of great possibilities for our country. We have proudly elected a man who we hope can lead us into a brighter future. There is a sense of cautious optimism and hope for this country to fulfill it’s true potential….. I hope that we see that translated into carpet and the other design elements that this country manufactures!"!" I expect the Obama Presidency style to encourage strong multicultural influences--Obama said himself that a family holiday looks a bit like a mini United Nations gathering. That will lead to a reinterpreting of traditional styling and design in a more casual and family (as well as pet friendly) way. The Obama open door policy definitely promotes a more casual and down to earth atmosphere. Whether paying his own moving expenses or reuniting past presidents for lunch, Obama is drawing from those who led before and their experiences to reunite our nation. It's a policy of sensibility and leading by example. So how do these all play a part in the decorating and colors trends used in the White House? + Conservative but not stuffy -- classic, yet with a casual style. + We know the new first family is very green conscious and will take every opportunity to support the made in America movement. + Michelle Obama has an style that's not overdone -- it's casual style with substance. Judging by her wardrobe color choices, she likes bolder, more saturated colors--teals, purples and reds. These bold, more saturated colors coincide with the 2009 Ultron carpet fiber color palette and its shift to earthier, more complex colors. Our forecast focuses on the rich complexities of natural dyes and the colors they produce with blues ranging in clean mid tone shades [like Fiord] to the richer colors of indigo and teal shades [like Anglesite]. On the warmer side of the palette, we've seen her attracted to reds, purples and magenta shades like the new Ultron shades of Madder, Osage and Mulberry. Overall the Obama style is expected to be their own, not contrived, but totally comfortable and thus will achieve "universal" acceptance. Thank you, Ann and Lisa. How do you think the Obama Presidency will affect design trends and carpet styles? originally uploaded by Barack Obama. 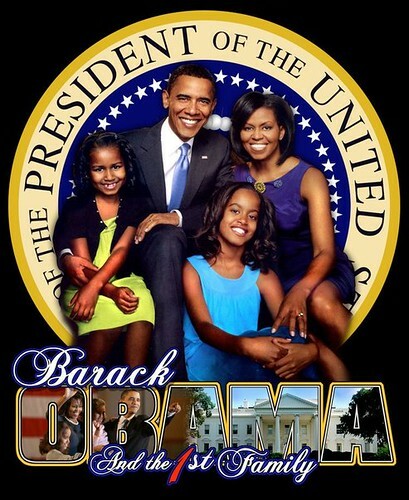 Today, January 20th, 2009, our country begins the era of the Obama Presidency. I expect this new age to inspire creativity and style as we haven't seen it before - especially in carpet - and to unleash greatness all around our country. I got to thinking about about it all after reading HFN Magazine's 1/5/09 article titled "The First Family of Style" by Barbara Thau. 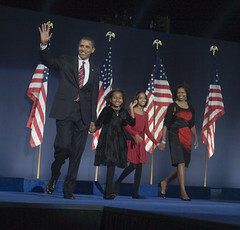 Here's how the article describes the Obama family's sense of style: "classic with an edge, cool, multicultural." According to designers, the Obamas' "innate sense of style - with a populist, accessible twist -" is sure to affect us all particularly when combined with Obama's promise of change. I have no doubts on that end! My seven-year old daughter is paying close attention. She identifies completely with Sasha, President Obama's youngest. She talks about the White House as it were a friend's house - i.e., the house of the people - rather than the equivalent of a Royal Palace. Which to me means that national taste and style will definitely be influenced. That in turn affects carpet style trends! The designers interviewed characterized the Obama style as "Good taste that rejects ostentation; an American flavor with a bit of an edge; and an eco-friendly consciousness." Thom Filicia says "the Obamas embody a down-to-earth quality that has wide appeal... They are more in touch with where we are ... with an aesthetic approach that's attainable by most Americans." Plus, they have young kids! Are you excited about a White House that reflects our cultural diversity? I am. The result on style - and carpet - will be a celebration of all that is America, with a "reprieve from an era of excess and gaudiness," replaced instead with plenty of cross-cultural pollination, practicality and eco-friendliness. I think we're ready. Oh, and Happy Inauguration Day! Opening today, January 16 through February 14, 2009, you can travel to foreign lands on Magic Carpets. To start your journey, go to the Paris Gibson Square Museum of Art in Great Falls, Montana. Thanks to Pacific Recycling - which is headquartered in Great Falls - you can even get in for free through December of 2009! I know a Great Falls in Virginia, but not this one in Montana and it sounds magnificent! Natural beauty second to none, with dramatic falls on the Missouri River, culture and a well organized town thanks to the vision of Paris Gibson - entrepreneur and politician - who arrived in 1882, envisioning possibilities for the site as the Electric City and a railroad hub. The Paris Gibson Square Museum of Art sounds like a gem. Completed in 1896 out of sandstone, the building welcomed students for almost 80 years, until 1975. Two years later, volunteers from the community "renovated and reopened [the] historic building as Paris Gibson Square Museum of Art. Since that time, The Square has provided a dynamic program of exhibitions, classes, lectures, tours, and performances designed to nurture the region's creative spirit." According to the exhibit description and Paris Gibson Square Museum of Art opens two new exhibits in the GreatFallsTribune.com, Magic Carpets represents a "collection of carpets, runners, sofras and nomadic storage sacks was acquired by Terry Karson and Sara Mast, during their travels to Turkey in 2004 and 2007. The exhibition was organized by The Emerson Cultural Center, Bozeman, Montana and is traveling under the auspices of the Museum and Art Gallery Directors Association of Montana." It is also the final exhibit in a series of several fiber arts exhibitions on display at the museum during the fall and winter. And, assuming you get this post in time, you can attend the Opening reception from 5:30 – 7:30pm tonight - Friday, January 16, 2009. If you see the exhibit, would you let us know where the Magic Carpets took you and how it inspired you? Colourful Homes originally uploaded by michelle_dirocco. Color. I live for it. It soothes me, energizes me, and helps me concentrate. In fact, I can't relax at home until the colors are just right. Similarly, the lack of color demoralizes me, robbing my soul of poetry and music. Color adds depth, dimension, texture and a sense of sweet comfort to my home decor. Home wouldn't be home without color. Is it the same for you? As a young teenager, I remember helping my French cousin Dominique paint her tiny Parisian apartment: a rich, Colombian coffee bean brown for the WC; a fiery red for the common area... The preposterousness of her colors floored my American sensibilities, and opened a window onto the potential of Color for the Home. Similarly, my French aunt covered her kitchen in a warm orange, making the space glow with hospitable possibilities, as did my grandmother's buttery yellow kitchen. I wish I had asked them what inspired their color selections. Luckily, today's there's a wonderful color inspiration resource in Kate Smith's Sensational Color and Color For Your Home, one of three color related blogs she writes. My current office combines spring green and light purple. My previous office paired duckling yellow with periwinkle blue. Although related, the current evolution definitely works better for me and the space as well. My inspiration? Magazines, several favorite fabric swatches, a reupholstered sofa, something within me and a piece of artwork. Artwork can be a terrific place to start. In fact, in Create a Color Palette To Coordinate Walls, Carpet, Furniture & More, I describe how to create a color palette with the help of Fabulous Floors Magazine's "Designer's Walk." If you haven't read it, consider downloading a copy of the article by clicking this link. Once I have color families in mind, I like to test my concepts. Traditionally, I get paint swatches and pair them against my fabrics and artwork. I definitely look at them in different light conditions. Before finalizing my color decisions, I like to remind myself of color principles and tips. 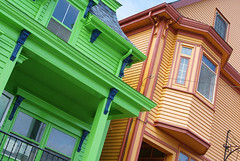 We offer a few in Color Your Home with Wear-Dated. Sensational Color, though, will truly give you something to think about. I wish you great fun and sensational colors for your home. This episode of Annette's Carpet Corner brings you carpet claim & warranty reference information. When Annette speaks with consumers who call into the Wear-Dated warranty service center, she finds that many call out of sheer desperation. They've been given the runaround and don't know where to turn to for help with their carpet claim. Here's help! If you have a carpet claim or complaint, Annette suggests the following. Contact your retailer first. Let your retailer help you determine what kind of carpet concern you have and how best to address it. In many cases, your retailer will want to examine your carpet him or herself to better determine next steps. If your retailer decides that your carpet concern falls under a manufacturer's warranty, then the retailer will initiate the claims process for you you with the carpet mill [i.e., manufacturer]. S/he will provide the mill with your order number or mill invoice number to file a claim on your behalf. Based on what the retailer describes, the mill will then decide what the next course of action will be [e.g., additional inspection, whether to return the carpet to the mill etc...]. NOTE: if your carpet carries the Wear-Dated warranty, call 3M Scotchgard 1-800-633-3208 for stain/soil concerns or also for advice on how to remove a stain. The 3M service center will transfer you directly to the Wear-Dated service center if you need to file a claim on carpet other than Mohawk carpet or if your carpet was installed prior to 01/09/06. Annette urges you to definitely attempt to resolve any manufacturer claims or concerns that you have with the involvement of your retailer first before attempting to call directly yourself. Doing so will make life easier for you as the retailer has information that the carpet mill will need readily available [and the retailer is the carpet mill's customer]. Annette's final words of advice are to download a copy of The Wear-Dated Carpet Buying Sheet [here's a link to the blogpost about The Wear-Dated Carpet Buying Sheet]. It's important that you know which warranties you have and what they cover before you purchase your carpet. It's also important to understand how best to care for your carpet as that will affect your warranty. If we've missed something, please do let us know and we'll be sure to address it. January's Design Reviews From The Floor Up introduces you to ::Surroundings::, a dynamic and inspiring design site created by Linda Merrill. I'm particularly excited about this episode of Design Reviews From The Floor Up as I have met Linda. Well, virtually I have [see Time For Decorating From The Floor Up]. I hope some day to meet her in person. But, I came really close during Meeting Thom Felicia! Linda Merrill is an interior decorating consultant and entrepreneur based in Massachusetts. She's also involved in the Board of the New England Chapter of the International Furnishing & Design Association. She knows interiors and design. And, she's inspiring. Design inspiration surrounds Linda. You are sure to be drawn into her vibrant Surroundings, which is filled with amazing sights and visions, emerging only to apply what she shares and view the world around you differently. Take her Pride & Prejudice series [I love Jane Austen, so this one really caught my attention! ]: Pride & Prejudice: Decorating the Bennet's house, Pride & Prejudice: Decorating Netherfield, and Pride & Prejudice: Decorating Pemberley. Or, the Travel Tuesday series. Music Hall Monday combines her love of music and design. You can Meet Artists like Patrick Fray, or listen to a podcast interview with Design Stars like Jennifer Bertand. Linda also offers plenty of practical advice [Staging Your Home for Sale] and Before & After Projects... and so much more. 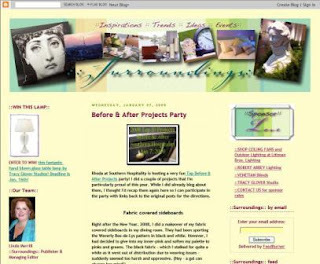 Linda launched Surroundings in early 2005, which means that she will be celebrating her 4 year blog anniversary on January 27th. That in itself is an impressive accomplishment, even moreso when you experience how the site has evolved in that time. Definitely experience for yourselves the wealth of design ideas that Surroundings showcases. Only, be warned: you may have difficulty extricating yourself! Thank you, Linda, for creating such an inspiring design destination. For previous sites included in this series, click on Design Reviews from the Floor Up. Or, visit our sidebar also titled 'Design Reviews from the Floor Up. P.S. : As there's a Thom Filicia connection to this post, check out our post on Thom Filicia's Design Inspiration Tips. This episode of A Foot's Perspective is about another Wow! carpet style from a La Quinta Inn hotel room in Fort Wayne, IN. BTW, are you as excited as I am to encounter these really fun examples of home fashion design that incorporate carpet? Would you consider taking photos of videos as you come across interesting carpet style design concepts? Let me know at CBWhittemore [at] gmail [dot] com and I will then post about it here to share with others. It's really neat to see hotel interiors [and I'm not talking super high-end, untouchable hotels] getting more fashionable in an edgy way. There's real style happening and it's giving me ideas. This La Quinta Inn has just remodeled its rooms and the end result - particularly from a carpet style perspective - is fantastic, sophisticated, soothing and inspiring! Look at that carpet pattern - in an energizing synergy of browns. Grounding, yet versatile. In my mind, it redefines the notion of a 'neutral' and appeals to both male and female sensibilities. It's comforting to the soul and the soles of your feet [I couldn't resist :-)]. I particularly like how the carpet accessorizes with the other room elements. Above you see the curtain pattern. And, next, the bedspread. They add airiness and additional warmth. The pattern combination is fun. Until seeing how well stripes, the curvy organic bedspread pattern and the geometric carpet grid worked together, I never would have considered such a combination. Check it out for yourself by viewing this episode of A Foot's Perspective. What do you think of the walls? For the most recent episode, visit A Foot's Perspective - Episode 19: The Night Before Christmas. Or you can scroll through previous blogposts with links to all previous episodes of A Foot's Perspective. Welcome to the first post in my blog series, Greer's Carpet Fashion Underfoot! I will be writing about two things that I am passionate about. The first is Carpet Fiber which may be obvious to people who know me since I work for Wear-Dated, the premium carpet fiber used to make beautiful carpet. The second is shoes! What many people who know me may not know is that many years ago I managed a high end fashion shoe store. It was during this time that I began my collection of shoes. I call it a collection because I see shoes as works of art. At one time my collection included about 150 pairs! I have “paired” this down quite a bit but still probably own more shoes than the average person and more than I should. I would probably need a 12 step program to change this quirk in my personality. I’m passionate about shoes—you get the point. What do carpet and shoes have in common? They are both underfoot and both are all about style! I thought it would be fun to pair up different carpet products and shoes based on their style and function and through this impart a little knowledge about the wonderful Wear-Dated carpet fiber products that are available in the marketplace. Like I said before, I am passionate about carpet! So much so that, every year around this time at the markets, when new products are introduced is like Christmas for me. Discovering the new introductions is like unwrapping gifts. Seeing the beautiful carpet styles & rich color palettes, and feeling the textures and softness is pure heaven. This year one of our new products with Mohawk is called Touch of Heaven. Touch of Heaven is a 52 ounce, Soft Touch texture. It’s a blanket special product which means it is displayed on an oversized deck board. It comes in 20 beautiful colors. So what type of shoe would Touch of Heaven be if it were a shoe? That’s easy…it would be an UGG boot. UGG boots are all the rage right now. My teenage daughter and all of her friends had a pair under their Christmas tree this year. Pick up any entertainment magazine and you’re bound to see a picture of a celebrity running errands or stepping out for a Starbucks wearing a pair of UGG boots. It doesn’t matter if they are in sunny California because the fashion is to wear them with everything, even shorts. UGG boots are all about comfort and softness without sacrificing style. They are made of sheepskin leather on the outside and lined on the inside with a thick cushion of fleece. They are cozy and comfortable. Wearing an UGG boot is like having a warm cup of cocoa by the fire on a cold winter’s night. Touch of Heaven is soft and comfortable like an UGG boot. Stepping out of bed in the morning onto a floor carpeted in Touch of Heaven would feel like sliding your foot into an UGG boot. 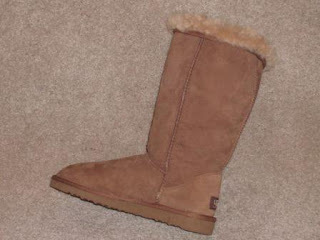 The grade-A sheepskin that UGG boots are made from is similar to the Wear-Dated carpet fiber used to make Touch of Heaven in that it is extremely dense and soft, which provides for a more comfortable and durable material. Treat your feet to an UGG boot experience everyday in your home. Your feet work hard. You should pamper them with the luxurious softness of Touch of Heaven by Mohawk made with Wear-Dated fiber. Thanks for reading my first blogpost. Until next time - look for beauty and carpet fashion underfoot!